“Who wants some [more] Wang?” Lo Wang, that is. If you remember that line from the 1997 original Shadow Warrior, or its 2013 reboot, chances are your trigger finger is already itching for the chance to slay some more demons as the indomitable warrior, Lo Wang. And that’s good because we’ve got the sequel, Shadow Warrior 2, ready and waiting for you in the GeForce NOW store. The game is available for $39.99, and includes unlimited streaming rights on SHIELD and a digital download key for Steam. 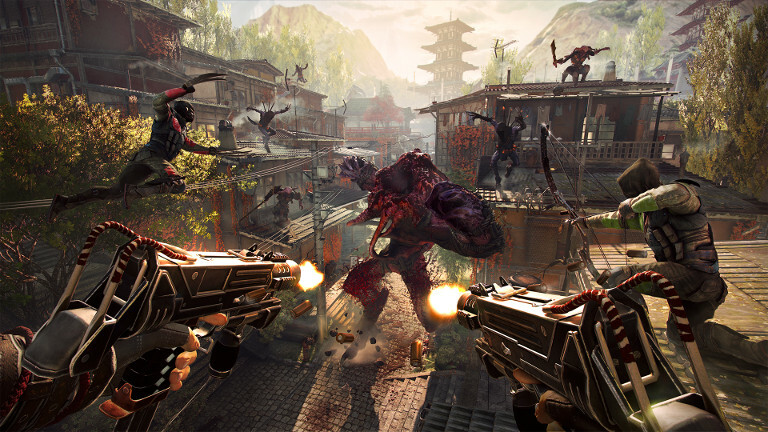 Shadow Warrior is currently rated M for Mature by the Entertainment Software Rating Board and is recommended for players over the age of seventeen. 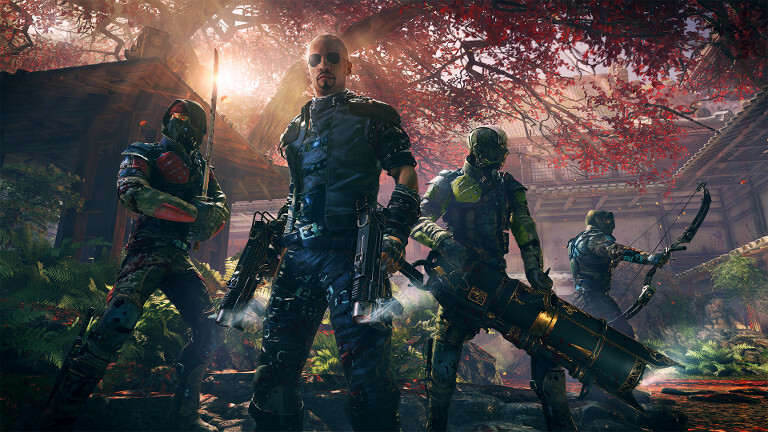 ”You are the Shadow Warrior” in this Over-the-top Action Game! Five years have passed since our “hero”, the former corporate shogun Lo Wang, broke the alliance between his deceitful former employer and the ancient demon gods of the Shadow Realm. Scratching out a meager living as a hired sword for the local Yakuza clans, Wang is drawn into a volatile conflict between a brilliant scientist, his nemesis Orochi Zilla, and, once again, hordes of angry demons. So, “once more unto the breach” you go as Lo Wang, armed to the teeth with a massive arsenal of devastating weaponry, along with his trademark wit and ability to wield archaic magic. Your mission is simple: rid the world of evil or die trying - and take as many demons with you as you can! You’ll unlock more than 70 devastating weapons as you play, ranging from a slew of lethal blades to explosive firearms of all shapes and sizes that you must use to decimate your enemies. Many of the tools of your trade can be upgraded up to three times, too, resulting in simply more power or adding deadly new elemental effects. And procedurally generated environments will continually introduce new twists in turns to previously familiar terrain - helping to ensure that no mission will play out the same way twice. 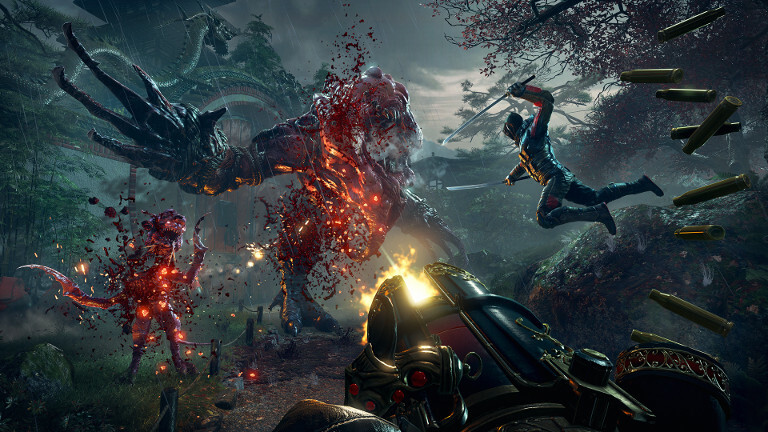 Shadow Warrior 2 is also the first game that supports NVIDIA’s Multi-Res Shading (MRS) technology, which is a feature that optimizes the rendering of the onscreen action to deliver the best possible visual experience at the best possible performance. Essentially, MRS decreases the resolution of graphics on the periphery of a scene to improve performance without degrading image quality where your eyes are focused - the center of the screen. 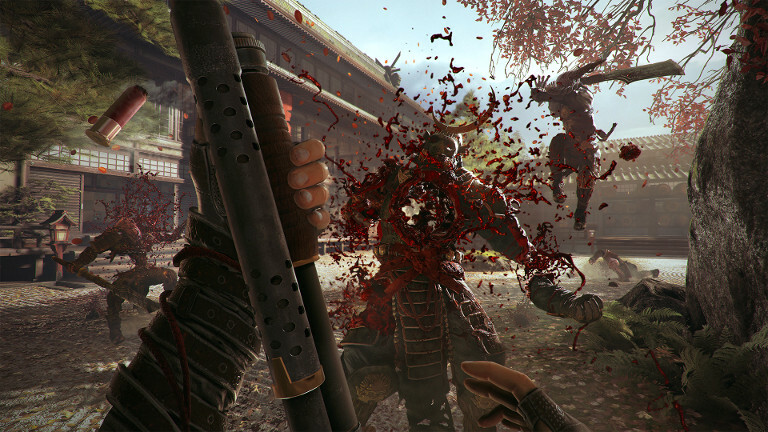 In a fast-paced, graphics intensive game like Shadow Warrior 2, this can mean a performance boost of up to 30%. So what are you waiting for? Grab a controller and start taking dishing out the pain! Head to the GeForce NOW Store to add Shadow Warrior 2 to your Game Library Today! To play, navigate to the GeForce NOW menu within SHIELD Hub on your SHIELD Android TV, portable or tablet. You’ll find Shadow Warrior 2 in the Buy & Play Instantly category.